Dana Blankenhorn: How Misunderstood is Open Source Economics? How Misunderstood is Open Source Economics? It's so misunderstood that allies can't recognize one another. Take Simon Phipps. He's presently the head of open source at Sun. He was at London this week for a conference. 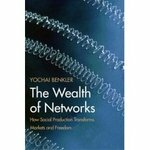 What he believes he said was a clear endorsement of open source economics, as described in the recent book by Yale lawyer Yochai Benkler called The Wealth of Networks. What was written by ZDNet, for whom I blog, was something entirely different. People need to stop thinking of it as "free" and instead think of it as "connected capitalism", is how Colin Barker put it. So in my own ZDNet blog, I went with it and called Phipps' words "a scarecrow argument," a calculated stupidity. Now here's where it gets interesting. Simon wrote me personally, and explained not only what he meant, not only where I went wrong, but where I might go to see a story which told things differently. He also led me to his own page, at Webmink.Net, which is a great collection of links to news stories and other material showing that, well, I got it wrong. Within a few hours of getting his note, I had a new post up. What's interesting to me is I delivered a rabidly pro-F/OSS speech, clearly explaining a number of concepts and providing illustrations to help people's insight grow, and the ZD UK guy missed it all, preferring to miscast partial quotes. Not the first time ZD UK has done this actually. I have given this particular talk many, many times in the last 12 months, including at ApacheCon, CeBIT (to a room full of journalists), LinuxForum, the highly pro-Free-software Malaga Free Software conference and at EuroOSCON. I also gave exactly the same talk, to great applause, at GUADEC yesterday. When I delivered the talk at the Hampshire British Computer Society AGM last week, one attendee wrote "I attended your talk in Hampshire yesterday and I have to thank u for a very accessible talk aimed at all levels", so I don't think I can really be that obscure or hard to understand. I'll continue to give it in exactly the same way - next appearance is LUGRadio Live in the UK, where the audience would tear me to bits if ZD UK is right. Not that they are - read through my essays and decide for yourself. This is the first time anyone has chosen to construe it as "controversial" the way it has been this week (obviously I make it edgy, what's the point in a dull keynote?) or spin it as some kind of "attack" on F/OSS ideals. I can only assume that the instinct to criticise Sun is still stronger than the willingness to look behind the reportage and that I still have a way to go with helping recognise Sun for what it is, one of the most important proponents of and contributors to free and open source software. Note the modesty. Phipps is gracious in not attacking me. What he does instead is criticize himself, saying "I still have a long way to go." The larger point is this. Open Source Economics is a brand new thing. Just as open source politics is. But it must grow up very fast. The crisis that requires this Myth to lead us out of the darkness, the crisis that requires these Values to be translated into values, is already upon us. The advocates open source ideals don't have the kind of time that Goldwater Republicans had, to refine those ideas, and to slowly build a political movement on their behalf. We need to change the world in Internet Time.